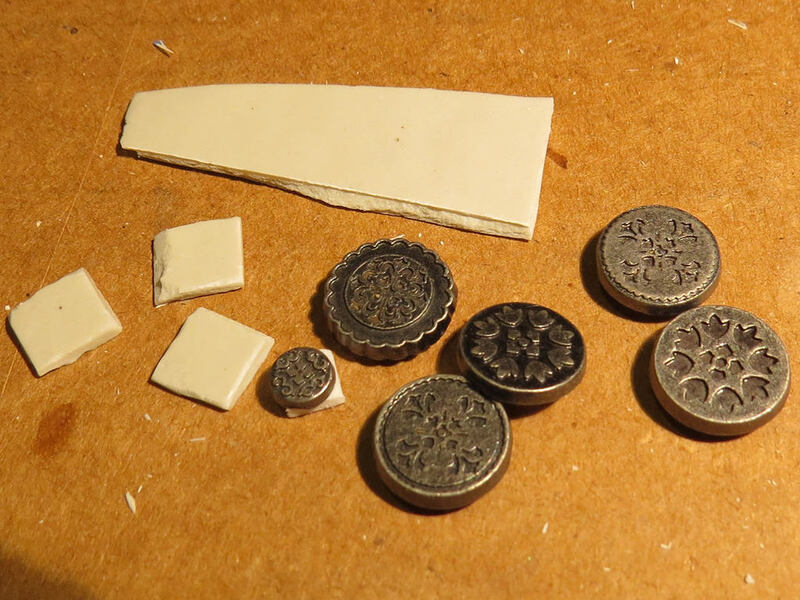 1- First, some Magic Sculpt to make a thin “sheet” about 2mm thick. 2- Let dry 2 hours (just to make sure). 3- Score the sheet with an X-acto then break it in stripes, and then break each stripe in squares (don’t trow the leftover pieces to the trash: they can be used as rubble or broken tiles on other bases!). 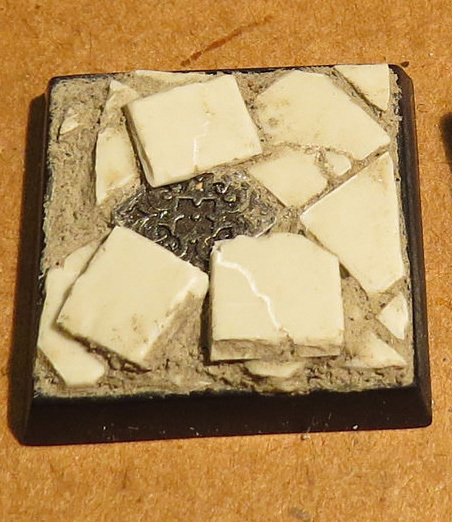 4- With the X-acto, dull the sharp angles of the little squares and create some cracks and dents. 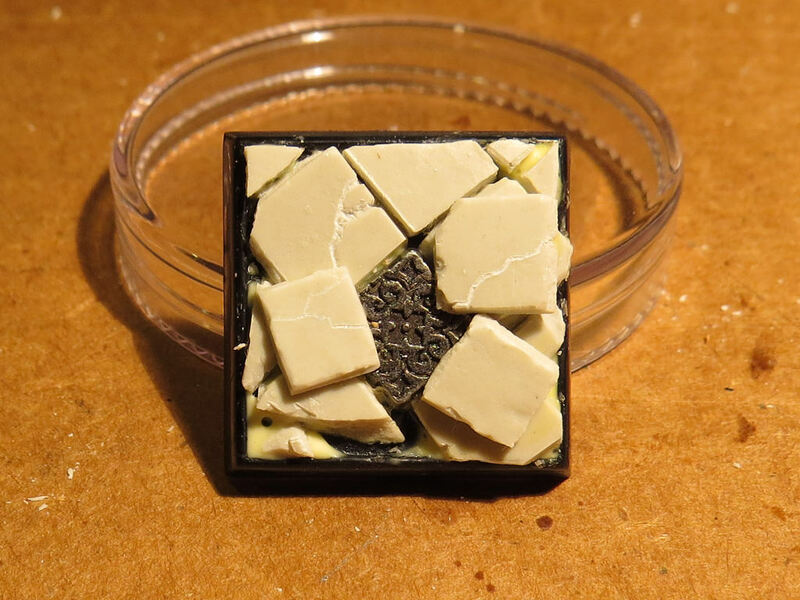 5- Use white glue to secure the pieces to a mini base. 6- NEW! I used a small metal bit I bought from an art store (these are sold to decorate scrapbooks). They are perfect to simulate intricate details in small-scale architecture, like here. 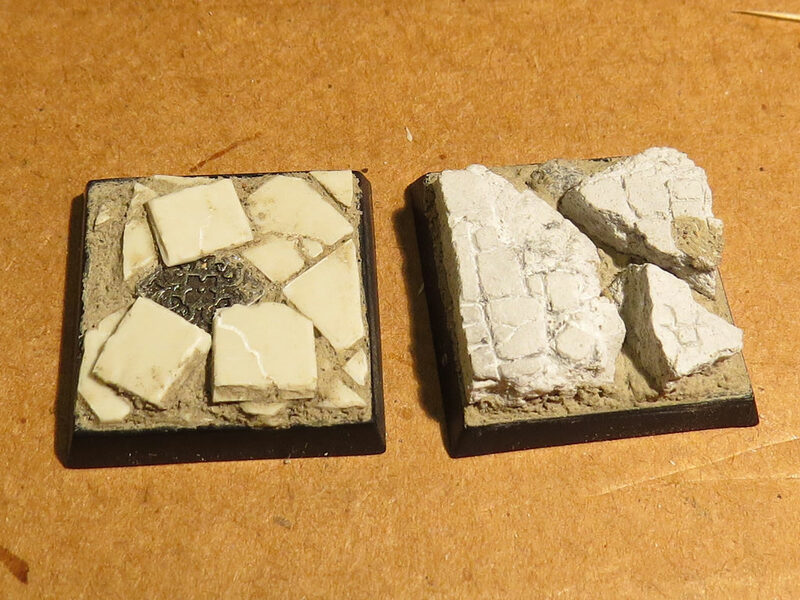 7- Once the glue is dry, I used modified thin-set mortar (view my other post on this technique).